MeeVee has been reaching out to a few TV bloggers to get the pulse on what’s hot and not for the upcoming Fall TV season. What new shows do bloggers think might just hit it big and which shows are we hoping will disappear faster than “Emily’s Reasons Why Not”. In the latest installment MeeVee asks the bloggers about the fate of reality TV. Find out what I have to say about the topic along with fellow bloggers from The Chicago Tribune, Blogcritics, The TV Addict and TV Barn. 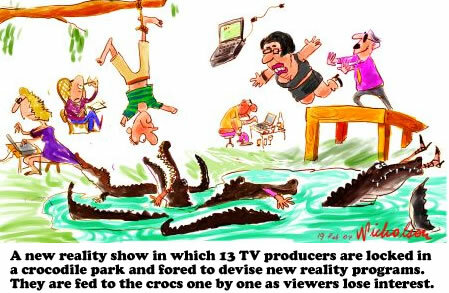 Click to read: What is the future for reality TV in the coming season? Bloggers Roundtable: What Show Dies First this Fall?